The five why method is a proven and popular tool for finding the root cause of a problem but, it takes time to develop this skill. Beginners often ask and answer a series of unproductive “why” questions. This leads to a false or weak root cause. 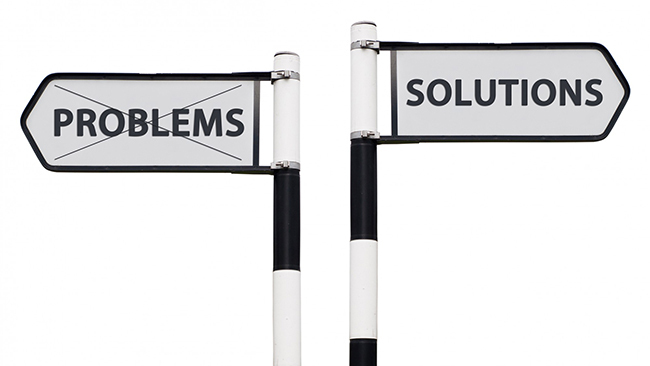 Structured problem solving methods like five why can lead to powerful remedies to problems in the workplace. Teams though, must first learn how to use this the five why method. The danger we face is when teams struggle with these problem-solving tools and then give up. Without mastery of problem-solving skills, teams produce inferior solutions to the business’ nagging problems. A Google search for “five why” presents us with myriad examples of five why analysis. Almost every example shows teams racing from a symptom to a root cause. In these examples, authors seldom explain how to ask effective “why” questions. How can teams master the five whys? How can teams identify actionable root cause and effective corrective action? In this post, I share simple techniques that help you find productive root causes so you may solve your biggest problems. The five why method – like many of the best games – is easy to learn, but difficult to master. Beginners, unfortunately, get lots of false encouragement from noted experts. Here is a random sampling from around the internet. Yes, it is this easy once you are familiar with the technique but there is not much how-to advice that guides newcomers through the five why process. One website, known for its focus on problem solving methodologies, offers this help for the five why practitioner. Their advice is accurate, but it is an oversimplification of the five why process. Loop back to step 3 until the team agrees that the problem’s root cause is identified. Again, this may take fewer or more times than five whys. Subsequent “why” questions take the team even further away from an actionable root cause. I have seen this often as teams try to harness the power of the five why. In my own case, I struggled through the five whys for years. I became proficient only after I practiced. For many who persevere, it takes two dozen or so five why root cause analyses, to “get it”. One popular example describes a team finding the root cause to an oil spill on the shop floor. Through asking why five times, they find that the root cause is poor quality - but low priced - parts. Newcomers try to replicate the results in examples like this, but soon find it is not so easy. Some answers to the “why” questions are true, but unproductive. These few tricks can help a team become proficient at five why root cause analysis. Select answers that are in the team’s control. When in doubt, go and see. Develop a habit of asking questions that lead to actionable answers. Instead of focusing on the problem we are having and the influences outside of our control, identify areas where your team can exercise control. Think of it like this: you can’t change the weather, but you can buy a raincoat. The opposite of an actionable answer would be a deflection to something outside of our control. Here is an example of an actionable “why” from an Epec problem-solving team. PROBLEM: UPS is no longer compatible with current label printers. WHY 1? Equipment was not upgraded to match UPS 2015 program release. Had the team answered the why by blaming UPS or the printer manufacturer, the team might have become frustrated and disbanded or they could have settled on an ineffective problem. Instead the determined that we needed a better service contract, so we do not repeat this problem. People tend to externalize problems. With little evidence an untrained team is quick to exclaim “It’s the supplier’s fault!”, “It’s the customer’s fault”, “It’s the other department” and similar variations. Always take a serious look at problems under your control. When you find problems under your control, you can often solve them quickly. In addition, when you are quick to investigate and solve your own problems, this builds credibility outside of your team. PROBLEM: Supplier shipped parts to us via UPS ground, causing late product delivery. Most likely this is an inference and not based on evidence. If the answer to the “why” is blame oriented, it is not actionable. It’ll take a while to validate any type of problem at a supplier facility. However, if the problem-solving team discovers evidence that supports 2 - Why? (B), they can continue to evaluate their own communication practices.